I brought my cymbidium indoors, when it got down in the low 40°s F/4.4° C, but on a beautiful sunny day, in high 40°s F/9° C, I brought it back outside…and forgot about it. It spent a very chilly night out on my back porch. Now, I’m working to save an orchid from cold damage. Not fun. 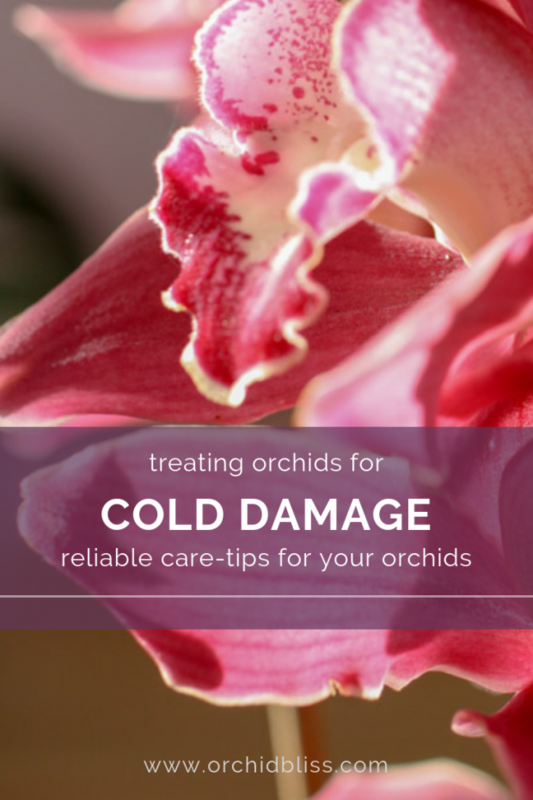 If you find yourself in a similar situation, here’s what you need to know to help you save an orchid from cold damage. First, how cold is too cold for your orchid? While most orchids don’t want temperatures below 50° – 60° F/ 10°-15° C, cold damage isn’t likely to occur unless water on the leaves freeze. This occurs when temperatures plummet down below 30° F/0° C.
Squishy, brown lifeless-looking pseudobubs and blackend leaves, brown, limp leaves, brown or black pits, indicate cold damage and manifest themselves the day after exposure. As the orchid warms us, the appearance of cold damage becomes more apparent. Hold off on water and let the potting medium dry. 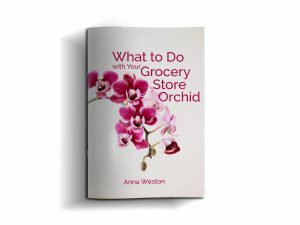 Place the orchid in a humid environment – a clear plastic bag will help. Keep the orchid away from excessive heat – i.e. heaters, vents, wood-stoves, etc. 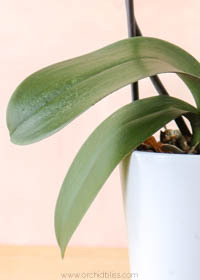 Keep the orchid direct sun – don’t set the orchid right under artificial lights or on a windowsill. Water only when new growth appears. Fertilize lightly – 1/8 recommended dose. Many orchid benefit from cooler temperatures. In fact, without a bit of a chill, many orchids won’t produce flowers. When I set my cymbidium outdoors my intention was to give it a chance to initiate some buds. Take it from me, don’t let your orchids get too cold. For most orchids low 50°s-60°s F / 10°-15° C is enough of a chill to get those bud going. If you bring your orchids indoors during the winter months, don’t do what I did. Instead, play it safe and bring your orchids inside once the temperatures begin to dip. Windowsill orchid growers, don’t set your orchid too close to the window. Even a thin curtain will provide some insulation between the cold outside and indoors. Open the curtain during the day and close it at night. If you grow orchids outdoors year round, place a frost cloth, blanket or towel over your orchids if cold temperatures are foretasted. 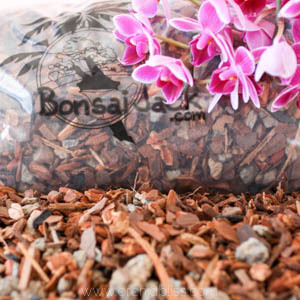 Mulch around your bedded orchids. 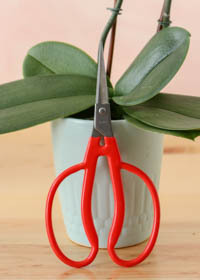 Need More Tips on Caring for Your Orchid this Winter? I’ve got you covered. 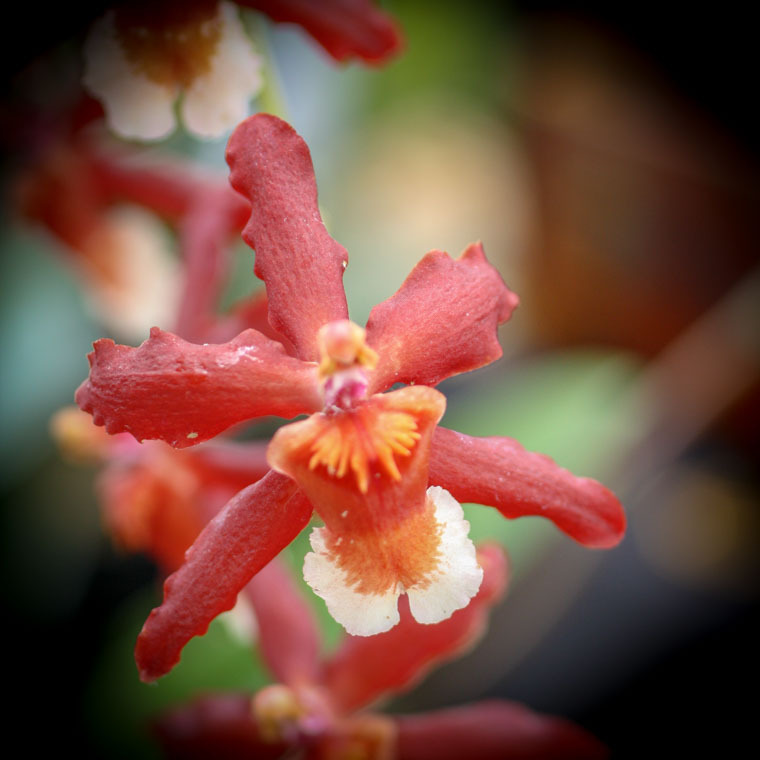 Check out this post with important information to help you properly care for your orchids through the winter. 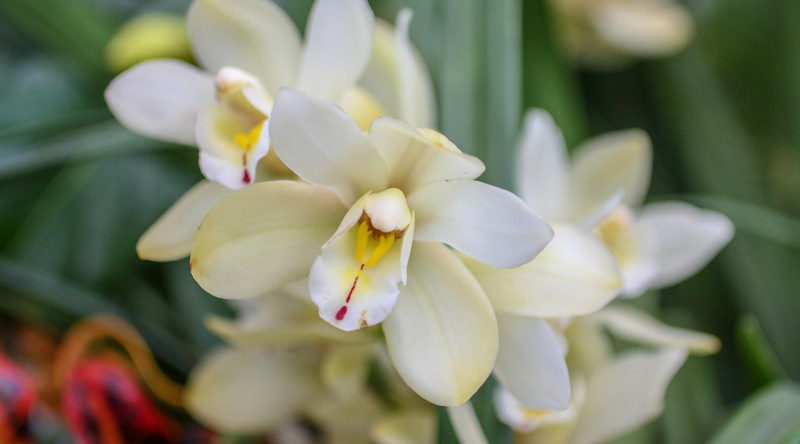 These winter-care tips will help your orchids prepare to rebloom.